An obnoxious meme has returned to the fore lately, claiming that innovation is dead. The hippies did it, or maybe it was the Internet, or even a decline of America. But nothing could be further from the truth, and statements like this make me question the perspective of the speaker. The very symbol of innovation, the light bulb, is about to be replaced! Surely, innovation does not happen in a vacuum. Yet innovation fundamentally transforms life, making the past unrecognizable and the future unthinkable. Innovation is about science, technology, and society all at once; it changes people as much as it changes the world they live in. Pundits like to point out the massive changes in the first half of the twentieth century and contrast those with the allegedly static world of today. I’m not sure what world these people live in, but it certainly isn’t one that I recognize. My parents have trouble comprehending what it is I do for a living, let alone the tools I use to go about doing it. And already, I find myself using anachronistic phrases that puzzle my children. Perhaps it is because they are “soaking in it” every day, or perhaps they just get a rise out of being controversial, but I cannot imagine a reasonable, objective observer overlooking the rapid and accelerating pace of innovation today. Although it has not always gone as people like Neal Stephenson predicted, the web has fundamentally transformed the daily lives of newly everyone in the first-and second-world. The Internet itself is loaded with innovation, with TCP/IP and Ethernet standing tall, and integrated circuits and the hard disk drive supporting everything. But HTTP and the graphical web browser, not to mention the Internet connected smart phone, are just as important in powering this transformation. Don’t believe me? Go down to your local CompUSA or Borders store and see for yourself! Oh, that’s right, they’re gone. In that case, head over to Best Buy and (perhaps) Walmart and watch the decline of these buggy whip showrooms. Jeff Bezos is the Henry Ford of today, and all that it implies, while Larry Page and Marc Andreesen play Firestone and Durant. Is the Internet and its related parts too large an example? Is it too sweeping in scope? And yet you deny the innovation inherent in the components as well? Perhaps you are looking for something you can touch and feel? In 1957, scientists at Union Carbide in Cleveland Ohio developed primitive carbon fibers which were remarkably strong and lightweight. Combining these with polymers (plastic) led to the creation of the remarkable engineered material often referred to simply as “carbon fiber”. The use of carbon fiber has expanded dramatically in this decade, from the Boeing 787 to sporting goods and architecture. Indeed, we are rapidly moving beyond “elemental” construction (steel, aluminum, glass) to engineered materials. In the 1960’s, Nick Holonyak of General Electric developed the first practical visible spectrum light-emitting diode (LED). Shuji Nakamura of Nichia Corporation followed with the development of a white LED in 1993. 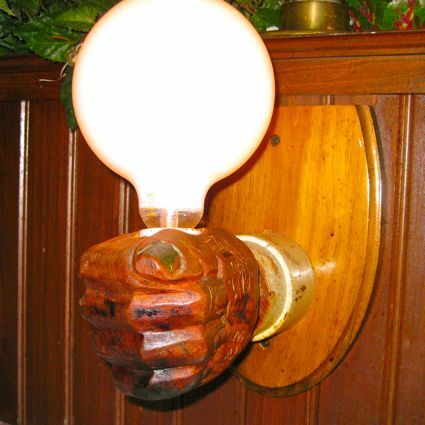 Today, LED lighting is poised to replace Edison’s incandescent light bulb and is already widely used throughout the home. In just two decades, white LED’s went from a scientific curiosity to a world-changing technology. Are LED’s as important in human history as fire, the wheel, sanitary plumbing, or the germ theory of disease? It is an unfair comparison, to be sure, but LED’s do promise to improve energy efficiency in lighting by an order of magnitude, which is roughly equivalent to the move from open flame lighting to the incandescent lamp. I’d say Nakamura’s innovation is as important as Edison’s! You can't tell me these things don't look cool! Let me tell you a story: In 1997, I got my first mobile phone, finally seeing a need for calling and texting on the go. In 2009, I put a group of high-tech bloggers on a bus and introduced them to “always-on” mobile Internet thanks to a Cradlepoint router. They were amazed to be able to use their laptops while in motion. In 2012, I no longer needed to bring the Cradlepoint along, because nearly everyone had multiple Internet-connected devices in their pocket. In 13 years, people like me went from “disconnected” to “super connected”, and we’re not the only ones! Innovation is all around us, and this makes it hard for us to recognize it. The true test is a comparison of life then and now. Our houses, cars, and hospitals are superficially similar to those seen 50 years ago, but nearly every component has been radically altered for the better. Walk out of your house, and I bet you take your smart phone with you, complete with LED lighting and the entire Internet at your beck and call. That is radically new!